At DNS Accountants we thrive to provide companies, freelancers, and contractors with high standard accounting, tax planning and consulting services. As an organization, we have flourished for over ten years and have gathered the necessary experience and knowledge that tags along with time, this helps us understand our client requirements and then enables us to offer customized services to them. We have dealt with over one thousand two hundred clients successfully, and most of them are still with us. We provide the clients with services with great integrity and passion. Hence we have been able to achieve a high consumer satisfaction rating; currently, we intend to reach a hundred percent satisfaction and are almost within the reach of this exclusive figure. 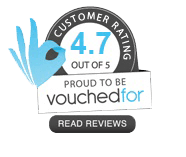 With highly skilled and experienced accountants in Cardiff, Penarth, Dinas Powys, Radyr, Taff’s Well, Pentyrch, and Marshfield, we are a name to reckon with in the whole of the United Kingdom. All our members are well qualified from recognized universities across the globe and are members of professional accounting bodies like the CIMA and ACCA. The company has offices in Watford, Reading, Harrow, and Euston (London). Helping start-up companies and have them meet their accounting, taxation and financial requirements with custom made services has been our key priority. In 2016 we were awarded the title Most Innovative Accountancy Firm in the UK. All our partners and employees offer tax efficient solutions based on their vast experience in accountancy and finance related matters. Our passion and commitment have helped our client companies grow and survive in the rough market. At DNS Accountants members have been using their passion to make happy, satisfied clients. This mantra has taken the firm a long way to become the top 10 contractor accountants in Cardiff. The heart of the Welsh economy, Cardiff is the capital city of Wales. It is the engine of growth and the economic driver for the south east Wales economy. It has been developing lately as an important service center. A hub for white collar professions, Cardiff relies principally on the retail, finance, tourism and media sectors. The employment has been soaring high for the past few decades, with public administration and education being the largest sectors providing employment. Employment trails in Cardiff are mirroring trends nationally, with high levels of growth in finance and insurance sectors. It is a thriving center for financial and business services, which account for at least fifty thousand jobs in the city. Companies have continued to grow even during commercial breakdowns largely because of the competitive business model and the skilled and qualified workforce. The most populous city in Wales, it is well connected by rail and road. The central station provides regular shuttle services to London. After all, transportation is what makes any city’s businesses grow and expand. 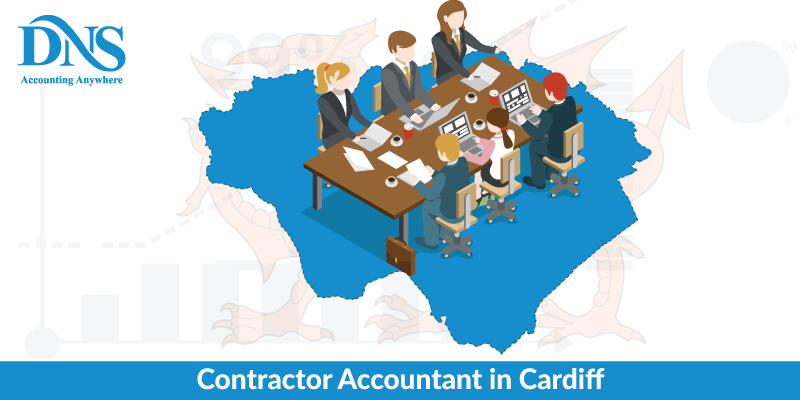 This huge expansion in the finance industry has led to a large number contractor accountants in the city. Also, online accountants and IT accountants are on the rise to meet with the growing businesses in the region. We provide in-house account managers whose primary job is to service clients, client renewals, and managing existing accounts. Renew existing accounts with increased service levels and pricing and to upgrade services to include other product offers. They will also assist with transitioning new clients from salesperson to account manager. We will help you manage your accounts completely; any help needed we are always there for expert advice. Partnering in management decision making and providing expertise in financial reporting is some of the things we will help along with the management of your accounts. The key objective of management of accounts is to provide timely financial and statistical information required by the clients to make day to day and important short-term decisions based on real-time accountancy figures. It is the person and not the business who is registered for VAT. For those new to the business, VAT may appear to be a complex term. DNS offers this VAT registration and returns service to assist businesses with making the right decisions and filling accurate VAT returns on time. Catch up with a DNS Tax advisor for more details. DNS will help your business come to a decision about whether to register or not and under what category to register for maximum benefits. Then DNS will take care of the whole registration procedure for you. After the registration, DNS will take on all your VAT related procedures and keep you in touch with changing VAT regulations, complete your VAT liability, etc. DNS will ensure that you would never face any penalty for late submission or inaccuracy. For details on prices and fees, check out the fees and packages section on the company website. We have been expanding our firm to various cities across the UK including cities like Cardiff, Penarth, Dinas Powys, Radyr, Taff’s Well, Pentyrch, and Marshfield. No matter where you are located our contractor accountants, and online accountants are always around to help you out. Ninety-seven percent of client queries are responded on the very same day. This explains why our clients are always so content and satisfied. We will provide virtual certification for all the professional advice we give. Your accounts are in the best hands. They are being managed by the most experienced. You will also get your very own accounting software to check your accounts conveniently for free. We are undoubtedly your best companion if you have just started your business. Our best guidance at the best prices in what makes us stand out amongst the competition. Request for a free meeting by giving in your details via the contact page, call us directly or feel free to send an email. We also have our very own apps available for download on the Apple App Store and Google Play. Contact us today and be relieved of all your taxation issues!